It has been confirmed that AMD would be public unveiling their new Hawaii GPU in a press event at Hawaii on 25th September. There’s more than a month’s time for that date to arrive but it looks like press samples of the card are already roaming in the wild and one such sample has been possibly spotted by Chiphell Forums. 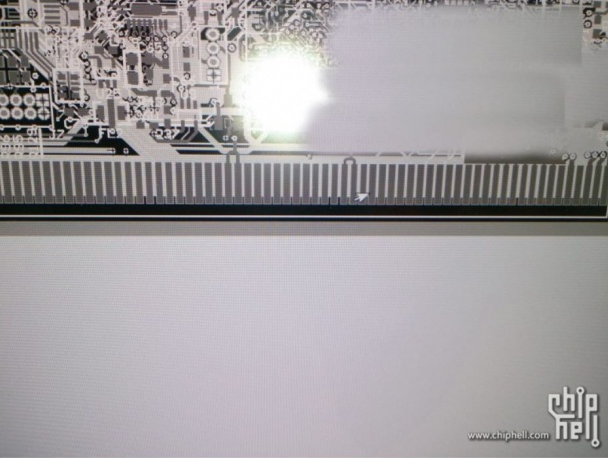 Update: The same forum member from Chiphell seems to have leaked another PCB diagram of the upcoming Hawaii GPU. I noticed some users mentioning that it cannot be real since AMD never uses a white PCB but i do want to mention that this is not an actual PCB, rather a diagram of the upcoming product itself. Its pretty common for manufacture’s to use such images since its easier to label them. 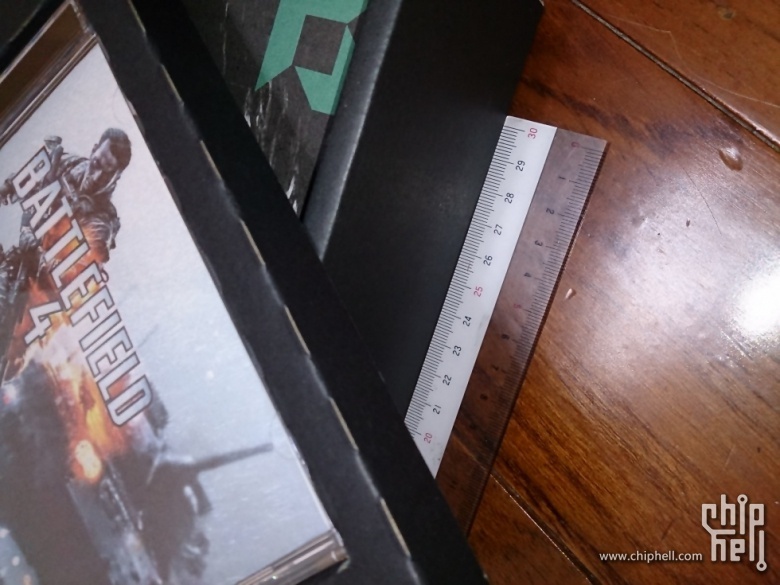 Secondly, Battlefield 4 is also bundled inside the box which might confirm the earlier rumors of the game being shipped with the next generation of graphic cards. Image is courtesy of Chiphell Forums! There’s no actual proof by the users who posted these pictures but they do seem convincing. The first picture shows off the press box in which the sample of Hawaii GPU is contained and the other picture shows the PCB diagram which possibly belongs to the reference card on which the Hawaii GPU is to be fused. Some minor specifications are mentioned next to the diagram by the user mentioning that the PCB makes use of a 6 + 1 Phase PWM Supply while the Radeon HD 7970 featured a 5+1 Phase PCB. 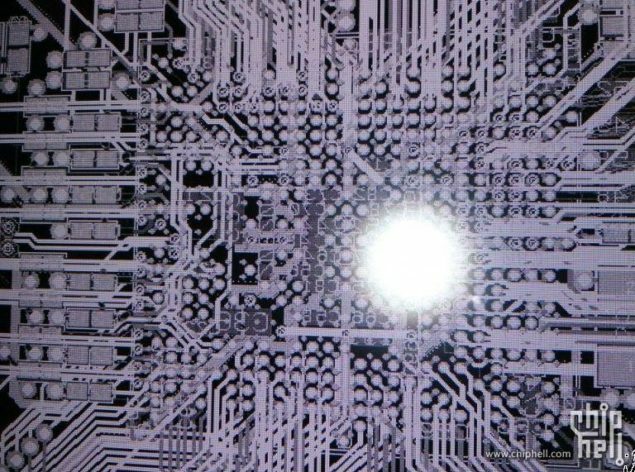 Some of the labeling from the PCB diagram have been blurred out near what seems to be the PCI-e slot probably due to NDA. It should be noted that the GPU codename/label is always mentioned right above the PCI-e connector slot on the PCB. The second image shows off the box that would be provided to press members in which the Hawaii GPU itself would be contained along with some confidential stuff regarding details/specifications/NDA dates. Information such as these are almost always provided with press samples of a new product earlier to launch. 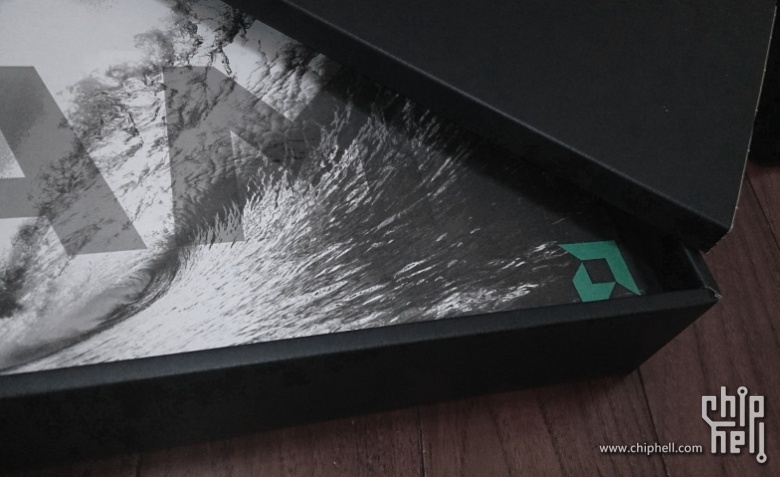 We can barely see what’s inside the box but from the image we can see the formation of a tidal wave which hints to the Hawaii island where the announcement of the Hawaii GPU would take place. An AMD logo can be spotted right under-neath the picture. The Hawaii GPU is probably hidden beneath the tidal wave image/poster. These are all the details we can get from the two pictures posted on Chiphell forums. For more information regarding AMD’s Hawaii GPU, do look forward to the upcoming launch in Hawaii next month.